Tapori is our worldwide network of children from all backgrounds. 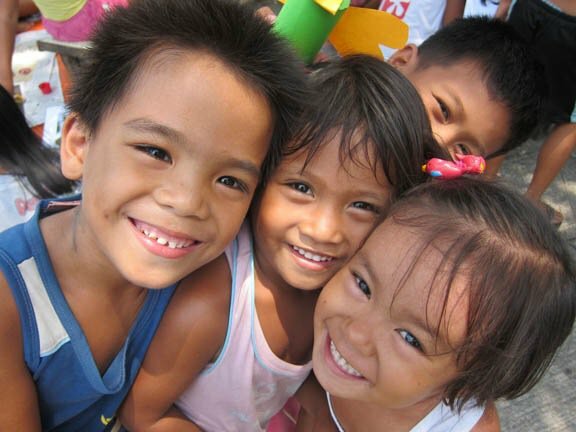 All children dream of a world where there is no poverty – where each child can live in peace and have friends. They need not wait to be adults to take action. During a trip to India in 1965, our founder Father Joseph Wresinski met a group of children who lived by themselves in the train stations of Bombay (now Mumbai). These children shared with one another any leftovers they could find on the trains. They were called “Tapoori” or vagabonds. In January 1967, we created a children’s network in solidarity with the children of the emergency housing camp of Noisy-le-Grand, France. Father Joseph wrote regularly to children who wanted to be friends with the most excluded. Remembering his trip to India, Joseph wrote to them. To honor the children in the train stations in Mumbai, our children network was christened Tapori. We request children all over the world to contribute written works, drawings, and artwork for our Tapori Newsletter. We create projects with children in link with our worldwide campaigns like World Day for Overcoming Poverty. If you and your organization are interested in joining Tapori or starting your own group, contact us. To learn more about Tapori visit http://en.tapori.org.